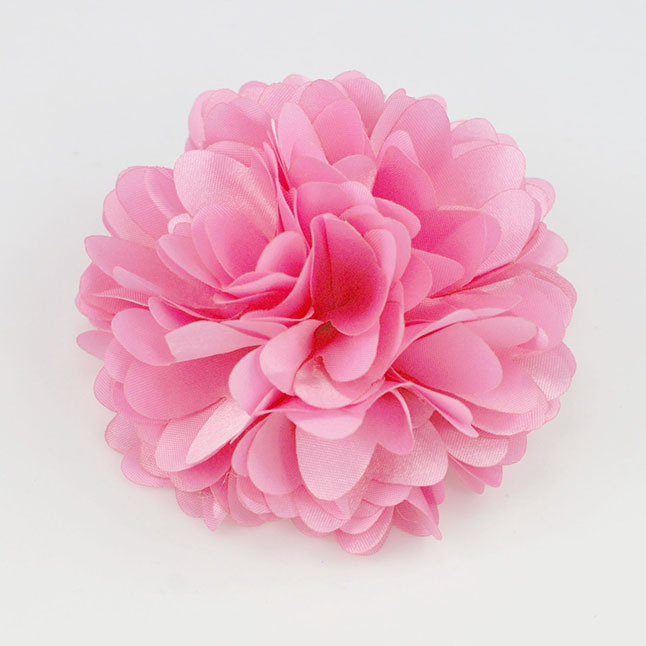 Satin fabric flower pin in pink color. 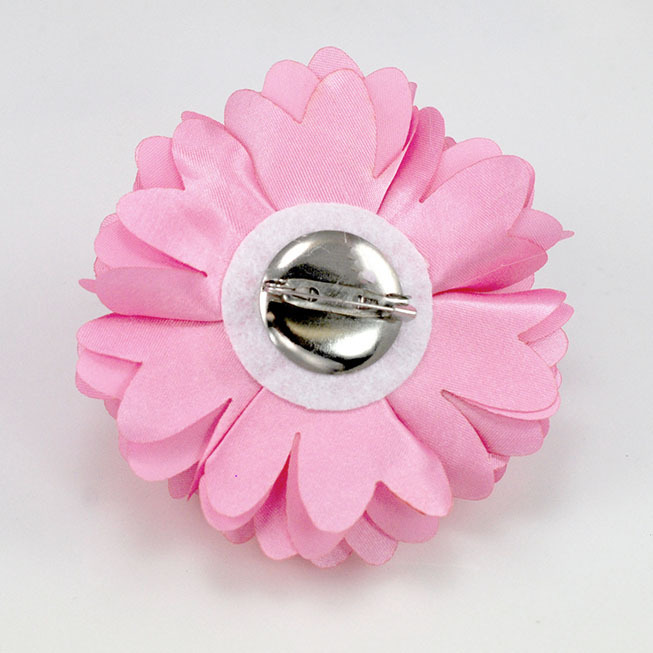 The flower measures 3 inches wide and 2 inches high with pin on the back. Best for tale top decoration.